Illustration by Nat Inez, Graphics Contributor. 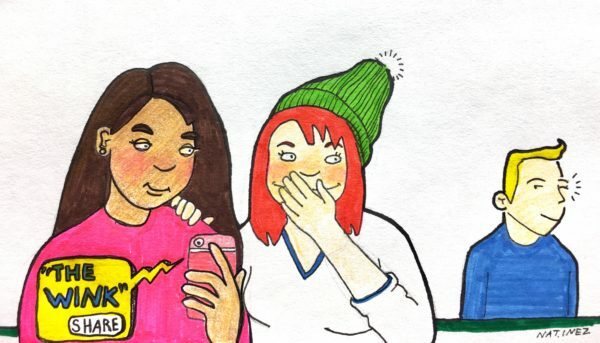 There are four students at UVic privy to every secret, odd thought, and drunken mishap that members of the UVic community feel the need to share anonymously — and yes, they are judging you. Since its creation in the fall of 2017, the UVic Confessions and Crushes Facebook page has gained over 3 700 likes and 4 500 followers. At time of writing, it has published nearly 5 000 anonymous confessions from the UVic community, which range from mundane complaints to insane stories about UVic students’ after-dark activities. Three of the page admins — AssPirate, Giraffea, and PiercedNips — sat down with the Martlet to discuss the success, although they requested to go by their UVic Confessions usernames to protect their anonymity. Chadmin, the fourth admin of the page, was not available at the time of this interview. The Martlet: How many confessions do you get in a day, and how many of those get posted? AssPirate: At this point, we’re getting over 100 confessions a day. PiercedNips: Like 120, 130. Something [upwards of] that. AssPirate: It’s really been booming this year, especially with the new first years taking to the page. I would say we post maybe 60 to 80 confessions a day. Giraffea: Yeah, like 70 per cent of them or 80 per cent. We like to find the good stuff, the stuff that’s really engaging. The Martlet: What is the good stuff? Giraffea: Usually weekends, people post weird stuff they’ve done on the weekends. AssPirate: The good confessions [are] the ones that make us laugh when we’re reading through. Giraffea: Saturday nights or Friday nights, you’ll hear [things like], “To the guy that did a backflip off the railing in Cluster, I hope you’re okay. You’re an effing wild man.” The mornings [after] those nights are fun to read. AssPirate: I feel like this speaks to our page a lot — in our top post engagement, there’s one that’s just “Cheese is just a loaf of milk.” That’s one of our top posts. The Martlet: How has moderating UVic Confessions and Crushes affected you personally over the last year? AssPirate: How I ended up joining the page is actually kind of a funny story, because I was on Tinder and Giraffea’s profile said ‘UVic Confessions admin.’ I’d been following the page from the beginning, and I was like ‘Oh, that sounds cool, I want to meet him.’ We ended up dating and have been dating for a year now, and I kind of joined the page [as an admin]. Giraffea: We took her on because she was really invested in it, so why not make her an admin. She works really hard and at this rate right now, I founded the page but she definitely has the helm. PiercedNips: She’s the mom, the backbone of this production. Girrafea: She’s got a lot of drive to take the page where it should go. PiercedNips: Wasn’t he your first Tinder date? AssPirate: Yeah, first and last. All because I saw he was a UVic Confessions and Crushes admin. The Martlet: Do you discuss the confessions between yourselves, or are they kept confidential like a confession to a priest? Giraffea: We have a group chat that if there’s certain confessions that we wanna just share, we’ll post them and we’ll [discuss] whether or not they’ll be posted or what we think of them. PiercedNips: If you’re working for UVic Confessions, you see every single one, and there’s just a lot and [they can be] really weird. AssPirate: So we’ll message each other when we see ridiculous ones or when we see ones that are kind of questionable, and we’ll discuss whether or not we should post it. But we don’t actually know who sends in any of the confessions that we get, it’s all 100 per cent anonymous. Sometimes we have people message us over Facebook, but most of the time it’s sent in through a Google Form, so we just get the results back completely anonymously. The Martlet: Have any of you ever posted confessions of your own on the page? AssPirate: In the beginning of our relationship, he would go and use the page. Like, “Met this cute girl, I’m really happy.”Stuff like that. AssPirate: Just like jokes between the two of us, but the way he would post them, he would never capitalize, so I would always know that it was him. Giraffea: We know of at least one [other] person who got into a relationship because of our page. I don’t want to say this outright, but it almost seems like our page is pretty successful in getting people to meet each other. It feels good, posting crushes and stuff. The Martlet: How has UVic Confessions evolved to meet the needs of students? AssPirate: Near the beginning, we kind of went through a period where we got a lot of confessions from people confessing about mental health issues. It got to a point where the page was just kind of getting full of stuff like that, and we didn’t want that to be 100 per cent what the page was about but we also didn’t want to turn away those people. PiercedNips: Or take away a support system. Giraffea: I know a lot of people send us messages saying that they really appreciate that. That was a really good addition to the page., Iit’s not perfect but at least it’s trying to send people in the right way. 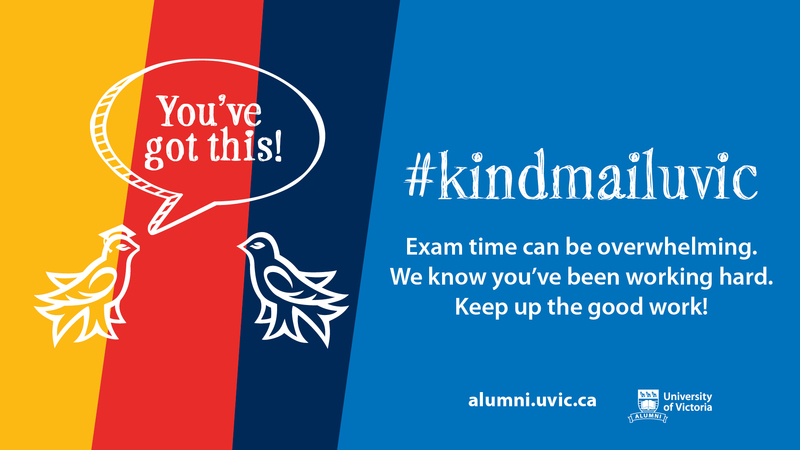 The Martlet: Have you felt like you’ve learned anything from the UVic community, after hearing all their confessions over the last year? Giraffea: There’s a lot of sexual energy. People are really horny. PiercedNips: Students are just really horny and really depressed. I think one big thing that I’ve learned [is that mental health is] a universal problem and it needs to be tackled now. AssPirate: I guess to summarize, what’s great about the page is realizing that you’re not alone, and so many of these things that people are sending in, they’re so relatable. It’s the struggle that we’re all going through in our university experience: dealing with love, dealing with the stress of courses, dealing with the lack of sleep. All these different struggles that we’re all going through together. Realizing that you’re not alone in it on this page — I don’t know, I think that’s really cool. The Martlet: Were there any challenges when you initially started the page? AssPirate: Just starting off, that happened a bit. PiercedNips: You gotta supply the juice. The Martlet: How have you seen this page impact people at UVic? AssPirate: I guess it depends on the people. Some people love us. PiercedNips: Some people hate us. Giraffea: But I know a lot of people, they say that it gives them something to do. AssPirate: I feel like that’s what’s at the root of it—it’s just students having a platform where we can come together and talk about what’s going on in our lives. Relate to each other in a social media era, I guess. Giraffea: It’s a pretty good community. It definitely has ups and downs, but for the most part people get along and it’s a nice thing to see. A previous iteration of this article had Asspirate quoted as saying something when the quote was in fact made by Giraffea. The article was updated on Nov. 18 at 9:25 a.m. with the correct information.